This house with character is surrounded by trees and is very close to a small river. You will find yourself in a haven of peace… Montrésor is a village which has been officially recognized as one of the most beautiful villages of France (label: “Plus beaux villages de France”) and it is only 500m away from la Ronde. You can also see the remains of a roman aqueduct just 50m away from the house on a recommended walking and horseback riding trail. Why not spend some time in this haven of peace called la Ronde and visit Montrésor? We have a fabulous stay in Montrésor. Katherine was extremely helpful and friendly; the house was very comfortable; and the location was beautiful. Thank you very much! A lovely spot by a flowing river with loads of butterflies & damselflies. An interesting house and we were grateful for the cool and spacious interior during hot weather. Conveniently situated just outside a pretty village, a good small supermarket nearby. Lots of interesting places to see within 20 miles. And, of course, a very welcoming and helpful host. The property is the perfect country escape. Ideal for families!! The house was perfect for what we needed. It is very well restored and communication with Katherine was excellent. She and her family were very welcoming and our children loved playing with her grandchildren. 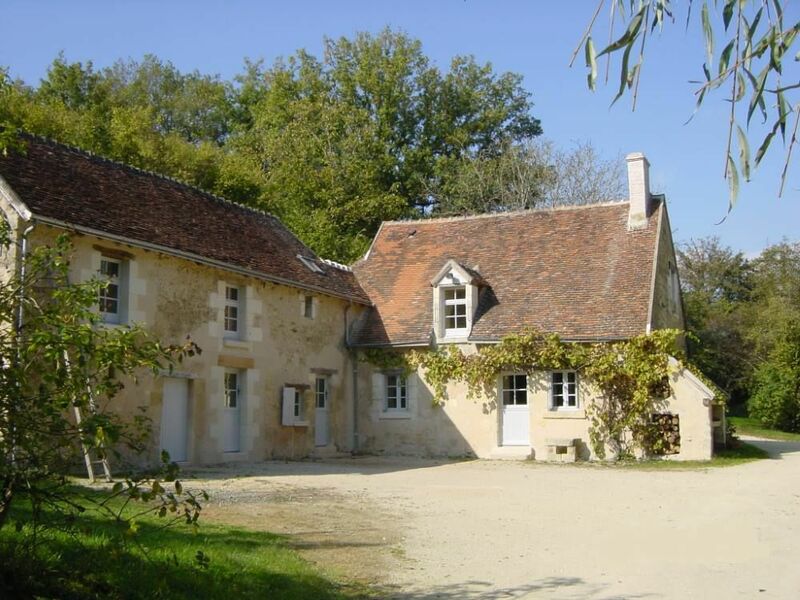 I highly recommend a stay at this house if you are visiting the Loire Valley. Montresor is a very beautiful village which we enjoyed exploring and the Nuites Soldaires by the river were a wonderful surprise. There is some nice bike riding to be had, and plenty to do with kids. The lake-beach at Chemille is great on a hot day (and walkable from the house). Katherine was a wonderful host - and had her grandchildren staying with her who played with our daughter in the garden. Elton the dog was also great fun and really friendly with all our kids. Thank you - we'll definitely come back to La Ronde! Fabuleux! Rien d'autre à ajouter. Tout est parfait : le cadre, l'accueil, la maison, le jardin, les équipements et le calme absolu, accompagné du chant des oiseaux et de la rivière. Éloigné de la route, dans un cadre de verdure, nous recommandons sans aucune réserve ce petit bijou! Et nous y retournerons très certainement, il y a tellement de choses à faire dans la région! A nouveau merci pour l'accueil, les précieux conseils et les bonnes adresses! Un lieu très paisible et très agréable au bord d'une forêt et d'une rivière. Décoré avec beaucoup de goût. Un merveilleux souvenir. Taste the wines of our region: Vouvray, Montlouis, Saumur, Chinon... and discover our region’s delicious dishes and cheeses.